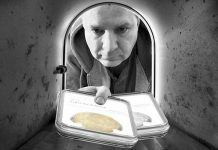 By Tom DeLorey for CoinWeek.com …. This is nonsense of course, as collectors such as Eric P. Newman and John J. Ford long enjoyed their collections (in the case of some of Eric’s coins, since the 1930s!) without having to be isolated from them by a hard plastic condom. 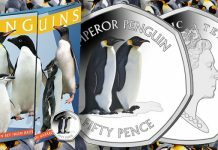 Alas, the reality today is that the only way even such a magnificent collection as Eric’s can be sold is in TPG holders. But third-party grading didn’t always exist. I started it on behalf of the non-profit American Numismatic Association on March 1, 1979. We had no idea what a monster we were making. The ANA had started a certification service–ANACS–in June of 1972. Counterfeit gold coins had begun to appear in large numbers in the U.S. market in the late 1950s, as jewelers began copying the smaller pieces to put into coin jewelry and gold smugglers copied the larger coins as a way to sell gold in America (it was still illegal to possess gold bullion, but common pre-1934 gold coins could be bought and sold legally). In Europe and the eastern Mediterranean region (especially Lebanon), such copies of out-of-circulation coins were usually legal to make, so long as the counterfeiters meticulously provided the lawful weight and fineness of the gold. To do less would be fraud! 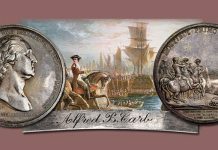 The coins were usually well made, as were other numismatic counterfeits like gold and silver commemoratives (including Sesquicentennial $2.50 pieces and Hawaiian and Spanish Trail half dollars) and early type coins (including 1799 dollars and 1811 $5 half eagles). 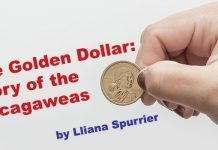 Counterfeiters branched out into these fields in the 1960s once they realized American collectors would pay numismatic prices for their counterfeit gold. Another pressing issue was altered coins, which became a large problem as date and mint mark collecting exploded in the 1960s. Criminal forgery rings would take common coins, such as 1909-VDB cents or 1916 Mercury dimes, and attach an S or a D mint mark (manufactured in the appropriate alloy specifically for this purpose) and then sell them at coin shows or via mail order. Counterfeits of foreign and ancient coins were also a problem. Because of these concerns, ANACS was established. It was headquartered in Washington, D.C. in order to be close to the National Numismatic Collection at the Smithsonian, which graciously allowed ANACS to use the collection for comparison purposes. 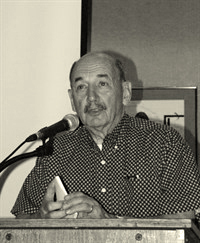 Educational columns and Summer Seminar courses by Virgil Hancock, ANA governor (later president) and one of the founders of the certification service, and other writers and staff began to drive counterfeit and altered coins out of the marketplace. I myself took the Counterfeit Detection course from Hancock at the 1976 ANA Summer Seminar. Later in 1976, ANACS relocated to ANA Headquarters in Colorado Springs. The staff consisted of authenticators John Hunter and Ed Fleischmann, an Office Manager, a part-time secretary and a part-time photographer. In 1977, the ANA separately published the Official ANA Grading Standards for U.S. 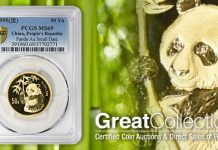 Coins to fight another problem plaguing the hobby: overgraded and deceptively graded coins. Don’t ask me where a “Moose” coin fell in that grading spectrum. The ANA committee that produced the book adopted Dr. William Sheldon’s Numerical Grading System as shorthand for its verbal grades. The Sheldon system had been created in the late 1940s as part of a complicated means of pricing large cents. In brief, its numbers represented the average prices that a common variety, or Rarity-1, 1794 large cent would sell for at that time. A Good coin was worth $4, so the grade became G-4. 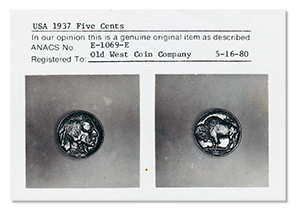 A Very Good coin was worth $8, so the grade was VG-8. Fine coins might bring $12 or $15, so you got F-12 and F-15. Prices escalated as the grade increased, so you had wider gaps at Very Fine VF-20 and VF-30. However, the populations for 1794 cents decreased severely in the upper grades, so Extremely Fine EF-40 and EF-45 covered the scant census at that level, and About Uncirculated AU-50 and AU-55 covered the coins at that rarified level. Because Dr. Sheldon intended his system to apply to all the large cents of the 1793-1814 era (some of which did come in new condition), he included three Uncirculated grades for the sake of completeness, with the average to slightly better than average uncs at Mint State MS-60, the really nice ones at MS-65, and the theoretically “perfect” coins at MS-70. The numbering system allowed the collector to price scarcer coins by multiplying an arbitrarily assigned Basal Value for each die variety times the coin’s numerical grades. It was an interesting concept. It was also obsolete the day Sheldon‘s book was published, thanks to the immense increase in collector demand it generated. 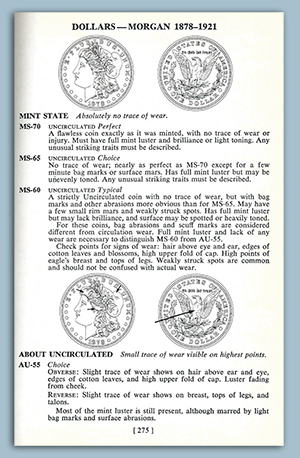 Though parts of the hobby had adopted Sheldon’s grading numbers for all coins prior to the ANA’s grading guide, the pricing system was incompatible with collector specialties like the Morgan dollar series, which had a completely different distribution of grades and a significantly different outlook on die variety collecting. Since the value-based numbers were no longer relevant, many have said in hindsight that the ANA should have created a new system based on a 1-100 scale. However, it did not. Nevertheless, the book sold well, and the grading system gained wider acceptance. Then somebody had the bright idea to combine ANACS, the ANA’s unquestionably brilliant success at combating one problem, with the grading guide, designed to combat the other. Most in the hobby seemed to think this was a good idea, and inevitable. Throughout the end of 1977 and the first half of 1978, speculation flourished as to when it would happen, and who the Grader might be. In 1978 I was working at Coin World, where, among other duties, I served on the panel that arbitrated grading disputes between advertisers and their customers. 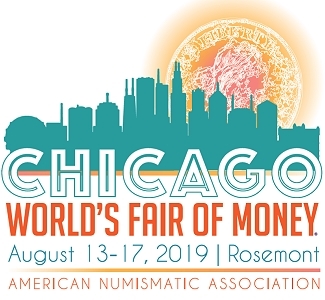 Though primarily Coin World’s error and die variety columnist and reader Q&A department, I also served on the panel that ruled on whether new foreign issues were good enough to be advertised as “Proof” (as the term was understood by North American collectors). Some would-be Proofs were not. In the Summer of 1978, I was approached by Fleischmann, with whom I had worked at Coin World before he was hired by ANACS in 1976, to see if I would be interested in joining ANACS. My principal duties would be to serve as a third authenticator to help with the steadily growing core authentication business, and to help with the education program. 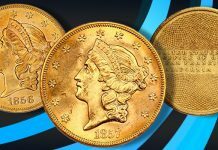 This program saw one or two authenticators travel to coin shows around the country to look at collectors’ coins for free and tell them if they were genuine or not. Expenses were paid by the host coin clubs, and it was a very popular service. The traveling authenticators also carried slide sets, which Ed produced, and presented programs on how to detect fakes. Because this took John and Ed away from their families many weekends a year, I could help relieve them of part of that. I was young, single and loved to travel in those halcyon days of airplane seats larger than I was and further apart. As Fleischmann and I understood things, the grading service’s primary function was to offer an impartial, third-party opinion in cases where ANA members had disputes with coin dealers, in much the same way as we’d done on the arbitration panel at Coin World. It was hoped that the grading business might one day bring in as many as 100 coins per month, on top of the 1,000 or so coins received for authentication. Neither one of us foresaw that grading would evolve into an industry that would grade millions of coins before their sale. During this time I never spoke with ANA Executive Vice President Ed Rochette, who wanted to be able to honestly tell people that he had not spoken with anybody about the grading position while he was waiting for the Board of Governors to approve instituting a grading service. All negotiations were conducted through Fleischmann (in conjunction with Hunter, I assumed). If Rochette’s concept of the grading service was different than Fleischmann’s, nobody ever told me. At the 1978 ANA convention in Houston, the Board of Governors formally approved adding a grading service to ANACS and authorized the hiring of an additional authenticator. I was informally offered the position on the floor of the convention by Hunter and Fleischmann, and accepted with a handshake. I was told to not say anything about it until after Rochette had the opportunity to go to Sidney, Ohio to personally inform the management of Coin World that it was going to be hiring away another member of their staff. There’d been some grumbling when the ANA hired Fleischmann away in 1976, and the ANA didn’t want any bad feelings towards it on the part of the largest hobby publication in America. Curiously, Rochette wasn’t in any great hurry to consummate the deal. Because of a post-convention cruise and other obligations, he was unable to come to Sidney before late October. His reception there was surreal. Great historical perspective on our org’s beginnings, thanks! Great article. I get the impression that the ANA and ANACS aren’t partners anymore? Great story and I appreciate that I was able to read it. 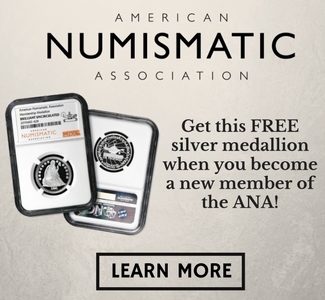 I always was aware the ANACS is the first grading company and their affiliation with the ANA. 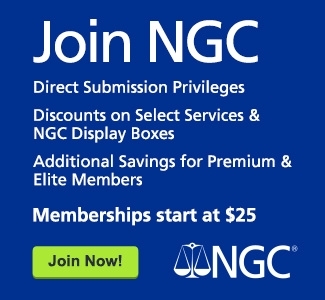 Was there a breakup, because I never hear of two spoken in the same sentence as with NGC or PCGS? ANACS WAS NOT THE FIRST TPGS. This is misinformation that has been published by the ANA so many times that most believe it! The former authenticators at the ANA in Washington started the actual first TPGS several months before the ANA. 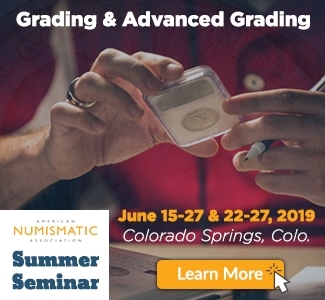 BTW, the International Numismatic Society Authentication Bureau – the FIRST service to offer grading when coins were authenticated did not charge for this service. Grades were given on a separate card from the certificate of authentication. When the SECOND TPGS – ANACS stated grading for a fee, INSAB started charging for grading also. Any questions? Contact F.Michael Fazzari at ICG grading service. Forgot to mention that a few years after PCGS and NGC took over the market, INSAB went out of business. Therefore, it can be truthfully said that since INSAB is no longer around: ANACS IS THE OLDEST TPGS!